If you are reading this list, you probably binged all of Season 3 of House Of Cards, and your friends are either jealous or along for the ride themselves. At least, that’s what Netflix should be hoping, as shows like this are quite expensive, and depend on word of mouth to thrive. While this season wasn’t as blunt or harmful to people’s healths as the first two seasons have been, we have to admit… there were still plenty of standout moments that had us gripping our couch cushions that we really want to talk about. 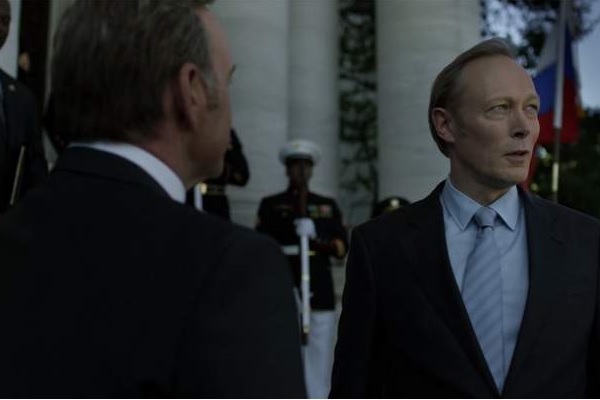 Following are ten of these shocking moments, so before you move forward, please keep in mind that we are about to drop a whole bunch of House of Cards Season 3 spoilers throughout this article. 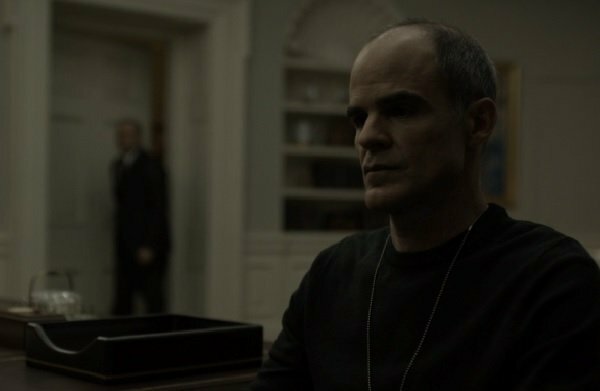 Right from the beginning, House Of Cards pulled no punches, bringing poor Doug Stamper back from the presumed dead. 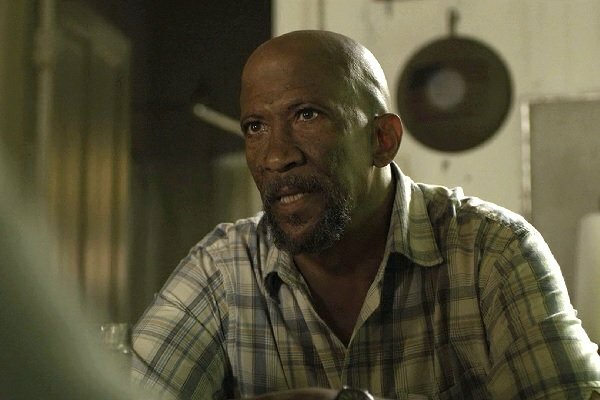 The first episode was basically him recovering from his beating at the end of Season 2, and he refused any offers of help. He probably ended up regretting it soon after, when he slipped and fell in the shower, a literal bone-crunching shock. 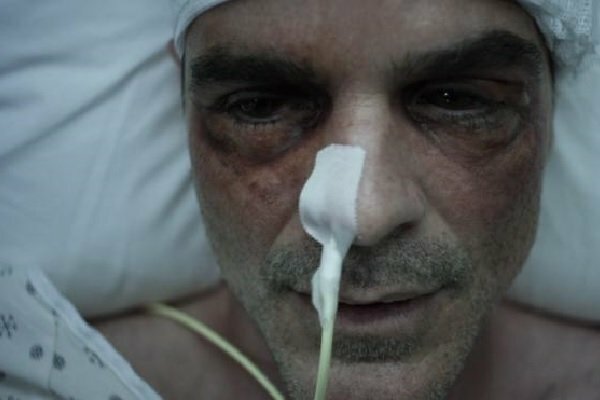 That whole scene is played very viscerally, culminating in the horrific image of Stamper’s broken arm, jutting out in a most inhuman manner, and it's our first clue that Doug spends this season nearly as uncomfortable as anyone else. While trying to get his committee on board with his America Works initiative, Frank has an uncharacteristic freak out and fires one of his cabinet members. Instead of telling them what they want to hear, or even slyly looking to us and saying one thing before doing another, he lets them have it with both barrels. Setting a precedent for his brand of negotiation throughout most of Season 3, this is the first of many outbursts that threaten to unravel the Underwood presidency. After a night of dancing, drinking, and diplomacy, the Russian president caps off the evening's festivities with a most unusual moment. The room literally goes silent the second Petrov grabs Claire and kisses her. In a moment that could have been construed as being caused by too much vodka or too little respect for President Underwood, Petrov made a bold statement after his evening of light innuendo with the first lady: he has no regard for the President's attitude or his policies, and he'll be bullied by neither. In a moment of personal crisis, Frank turns to one of his favorite punching bags: Jesus Christ himself. After spitting on Jesus on the cross inside of his church, he tries to clean off the mess, only to have the entire fixture come crashing down right in front of him, almost taking him down in the process. 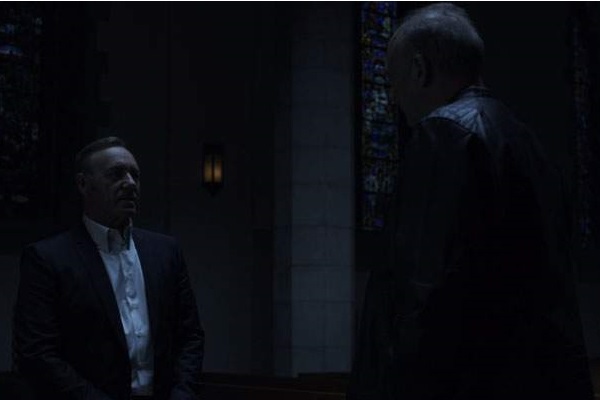 This isn't the first time Frank's sworn against the Lord, or even the Devil. Still, Frank's not the type to learn a lesson lightly, so perhaps he'll think twice before he strikes the almighty a third time. After some wrangling, and dipping into the FEMA disaster budget, President Underwood's “America Works” initiative has a grand debut – timed to coincide with the Fourth of July. There's fireworks, a huge tent, and a line of spectators waiting to sign up for the jobs that Underwood has promised. As we pan slowly across the spectators, we find a pleasant surprise waiting for us in the line: Freddy's back in town, and he's ready to patch things up with Frank, though without any ribs involved. After the suicide of Michael Corrigan, a gay rights activist arrested in Russia that serves as one of Claire's diplomatic missions, she and her husband argue over the fallout over his death. This leads to a rather crucial moment of weakness between the two of them, as they voice their regrets over making each other the power players that they are. 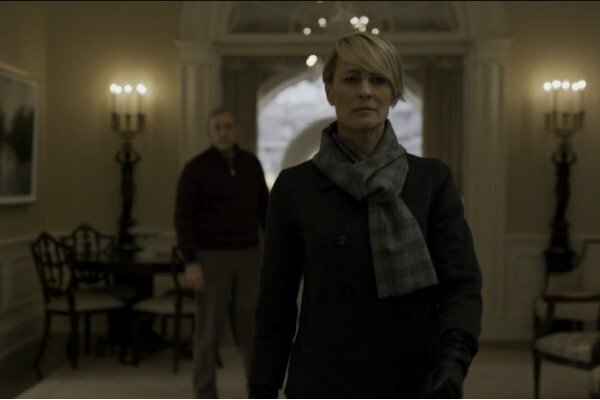 For the record, Claire wins this round because “I should have never made you President” is one of the most chilling lines of this season. 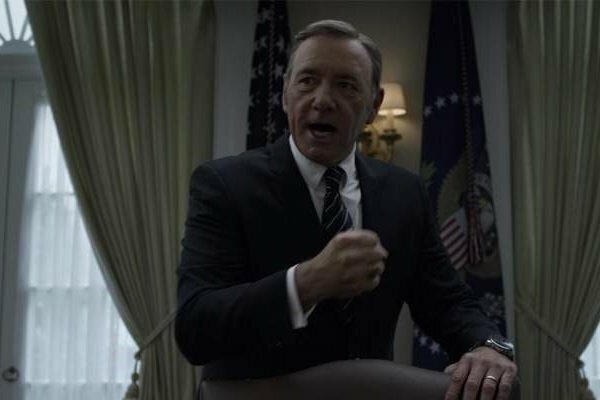 For as evil and vicious as he is, Frank Underwood still has something of a soft spot. His greatest weakness, besides his hunger for power, is his wife. 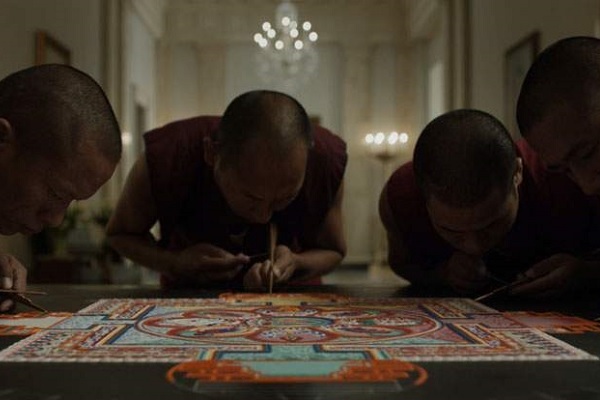 After the fallout of their huge blow up, the couple invites some Tibetan monks to make a beautiful Mandala in the White House. In one of this season's surprising moments of love and happiness, Frank leaves a framed photograph of the Mandala for Claire, with a love note attached. Can it last? In this moment, it looks like it can. Finally deciding to play dirty like the rest of DC, Heather Dunbar threatens to out Claire’s abortion history, thanks to a rather unconventional source. Staying true to his Season 3 playbook, Frank gives Heather a nice talking to in the stairwell where he confronted Petrov earlier in the season. He lays his cards out on the table, and even plays a little chicken with the former solicitor general; claiming she doesn’t have the stones to live up to her threat. And though he's only speaking to the audience, his threat to slit her throat in broad daylight is equally chilling. 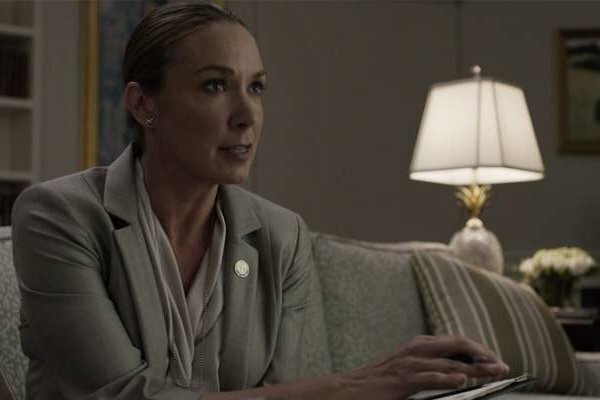 In the ultimate signal of loyalty, Doug Stamper lit up the incriminating pages of the journal he looked to offer Heather Dunbar for her campaign. While that's not surprising, what is surprising is the way that Doug handles Frank in their meeting. With a firmer tone than usual, and the balls to admit that Frank's been screwing up for the past year or so, he demands his job back... and gets it. He also looks pretty badass in that black shirt, too. After all that they've been through - the ups, downs, and scares of the election cycle – Claire is finally tired of putting up with her husband sidelining her in every way he can. 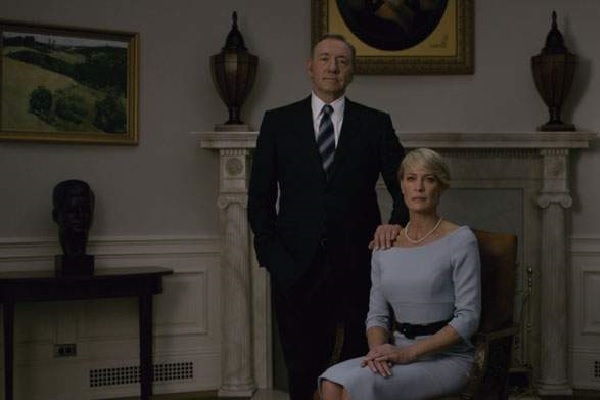 The First Lady walks out on her husband, thus disbanding D.C's greatest power couple, and leaves Frank to figure out what the next step is. For as much as they butted heads this year, it looked like there was enough love to move past their mutual flaws. However, this is House Of Cards, not Gilmore Girls. If there's anything that these ten moments have proven, it's that nothing is to be expected as safe or “reasonable” on this show. Anyone's vulnerable, there's always a weakness someone's willing exploit to get their way, and it's ultimately not enough to just be a good person, or even a good politician in this town. Season 4 has its work cut out for it if we as an audience are to be shocked this much again.